The Lenovo Magic View – This is The Future? As I’m sitting here in line for the Force Friday on a Thursday night, I figured I’d do a post about something that’s been bugging me most of the day. What is it, you might ask? It’s what Lenovo, and some “tech reviewer” thinks is the future of wearables. It was this article on Mashable..
It’s their new wearable tech, the Magic View. 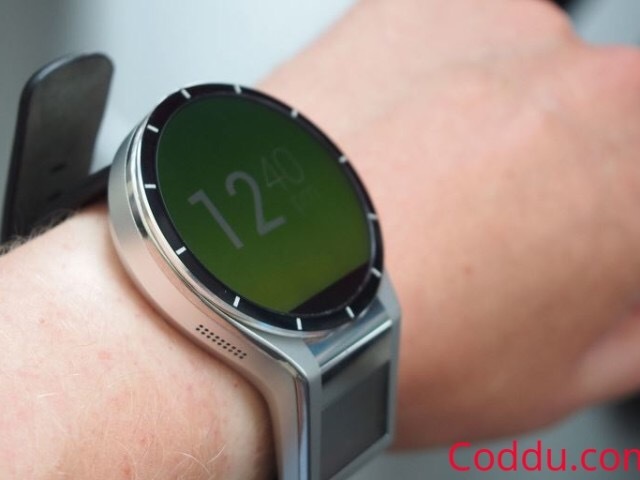 Basically, it has a normal screen like a Moto 360, and a little side interactive screen below the main face. The idea is you drag content from the main screen into that window, and then to view it, YOU HOLD THE WATCH UP TO YOUR EYE AND LOOK INTO THE WINDOW. THAT, according to Lenovo, and the tech review guy – IS THE FUTURE. The view is supposed to be equivalent to looking at a 14 inch desktop display. If that’s the future, I’ll build a time machine and go back in time over and over in order to avoid a future where sucky UX becomes the norm. So let’s look at two things here that are glaringly wrong, as far as not only that creating a great user experience should be all companies mission statement, but also continuing the pattern of creating crappy experiences just to be different. Back to the 2 things. Two: A 14 inch display? Have guy EVER seen how SMALL a 14 inch desktop display really is?? While I’m at it, if you’re going to make wearable tech, make it look nice, unobtrusive, and so we, the customers don’t look like complete dorks. Ever see anyone actually use Google Glass, mouth agape, drool coming out of the corner of their mouth, staring upwards into God only knows where, madly flicking at the side of their temple as if flicking away a fly that keeps dive bombing you … Yeah, that makes you look SO cool. My advice to Lenovo? Give it up and stick to making laptops. Please. We don’t need more people looking dorky with bad tech ideas. Classic car doing some time traveling. 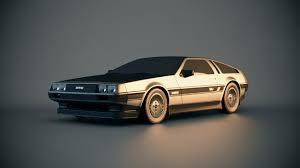 I have a 1981 DeLorean. 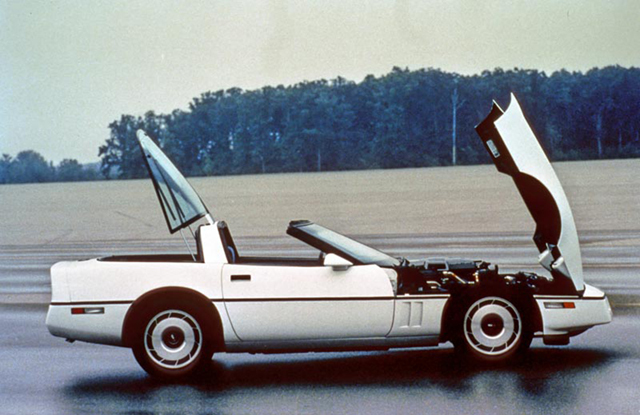 It’s a fun car to drive, has lots of power (thanks to an engine swap to a 350 sbc from a late 70’s Corvette), still turns heads more than 30 years after it came out, due to the incredible design by Giorgetto Giugiaro of famed ItalDesign, featuring Gull Wing Doors that incorporated Northrop cryogenically hardened torsion bars to hold them up… (okay, that was a cool but nerdy engineering fact). It looks cool from pretty much every angle. The front nose, or fascia, head on. My wife loves the car except that nose. 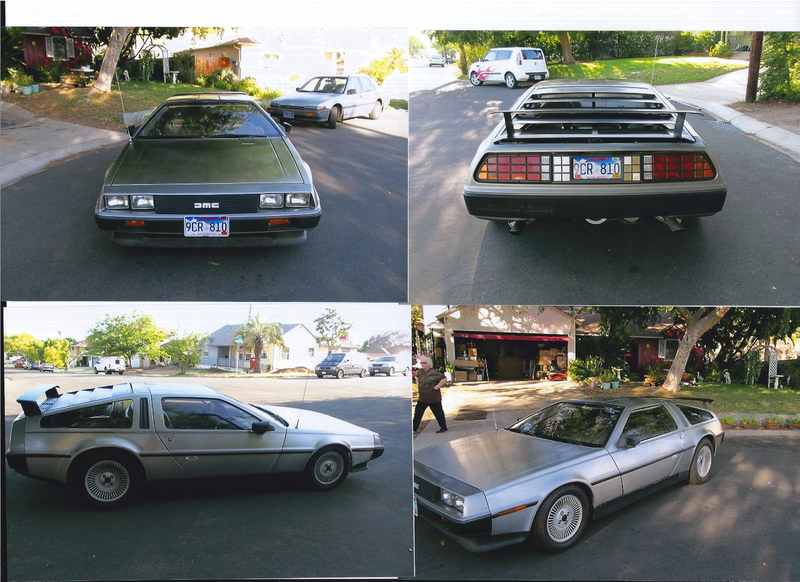 Same here, and if you talk to a number of other DeLorean owners, you might get the same story. 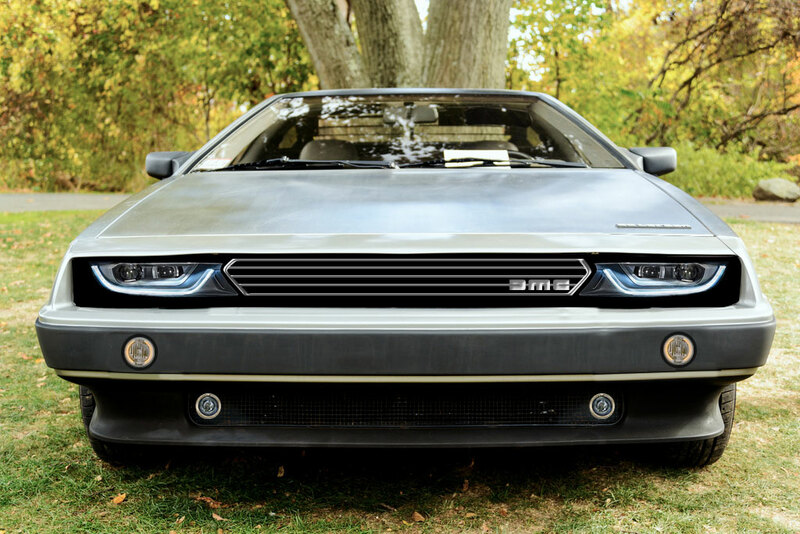 Yes, it’s typical of the 80’s with the rectangular headlights, and the rectangular grill – which is in fact a non-functioning block of plastic made to look like a grill. Non-functioning as no air passes through it. And thus one of the many engineering design flaws of an otherwise extremely cool car which I’m totally enamored with. 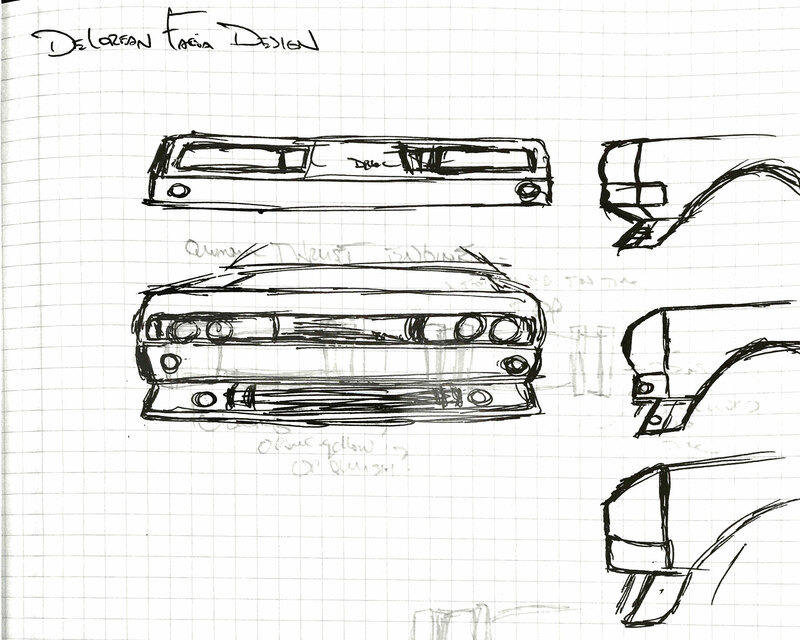 The engine is in back, you have the radiator up front, and you limit air flow through the lower vent in the spoiler. So, I consider myself somewhat of an R&D Designer/industrial designer/fix things to make them better kind of guy. And I decided I’d try and come up with something better – more modern, sleek, and hey! – more air flow while I’m at it. So I did some quick sketches. And then did some mockups in Photoshop. Comments are always welcome, unless they’re related to John DeLorean and his arrest/entrapment, or cocaine. BTTF comments and jokes are a-okay. Recently I had the opportunity to interview with a local clothing company as their new (and only, never had one before ever) UX person. Before they decided to interview me in person, they had me do a Predictive Index, which was interesting to say the least. You have two questions, that’s all, and in turn you get a report on who you are. The first question: How do you think people see you when at work? And then there are a bunch of checkboxes next to adjectives. A whole page worth of adjectives. The next question is: How do you see yourself at work? And again a page full of adjectives and checkboxes. Supposedly it’s supposed to take 10 to 15 minutes to do, as they tell you “This should on average take 10-15 minutes to do.” I took less than 5. And then you get a report the next day. And it’s freaky scary uncanny. No, really. It KNOWS you pretty well with only two pretty simple questions. I’ve done plenty of Myers Briggs tests at different companies and those are always fun, and it’s cool as far as seeing what else I might be good at doing. But this was just weird, like they had been watching me for the better part of my life. WITH ONLY TWO QUESTIONS! A week went by, and I figured they weren’t interested because of my results. I’m not saying it was bad, but it did help explain, and even answer some questions or assumptions I had made in the past about different jobs, employers and bosses, as well as places I had interviewed at which on the skills and experience level seemed like a perfect fit but didn’t get the job. And then they called for the on-site interview. And I thought it went well. I was personable, serious, funny, passionate about UX, and could kind of see myself there. They had seen my predictive index as that’s how they decide if they’re going to interview someone or not. And then I didn’t make it to the next round, with the answer that although I was technically perfect, my personality was too strong. HELLO, did you NOT read my PREDICTIVE INDEX?? So I’m including it here for you. Now, I’d say it’s 95% accurate, but missed that I do like working with others, and I’m a nice friendly guy, I believe in standing up for people, and if I’m in a leader role, then I put my team ahead of me. I don’t boss. I lead (and base my leadership style on that of Christ, who said “he is first is last, and he who is last is first.”) Lead by serving those who work for you, and putting yourself last. Give them all the credit for the work they do and their successes, and take none for yourself. And always hire people smarter than you, because it’s that that shows you are a good leader to your boss. For those of you who have known me for a long time, you’ll see how freakily close this report is. This really doesn’t fall under anything design related, per se, but I feel is important to just put out there. I recently had been on LinkedIn, and noticed a post from one of my LinkedIn contacts, someone I had worked with about 5 years ago. I thought I’d take a look at his profile, and found something interesting. What caught my eye was he had listed 20 years of experience in UX. Now, I know I could say I’ve been doing UX for 15 years, but in actuality, professionally, where I was paid to do UX, and had the title of UX Designer (or in my case the first one was Interaction Design Lead), has been 5 years. Of course if I were to go back further, when I started producing CD-ROM’s and then websites, you could argue I was doing UX back then, which then totals 20 years – or 2 years before my son was born. But I stick to 5 years, and then bring up my past experience as well. Plus, I’m old enough to be able to say I’ve been doing something that long, professionally. I did used to say I had done video production for 25 years, when I was younger. I had started out as a video editor for a local TV show when I was 15. But then video was not something new and had a name to it – video. And now I don’t say that, though truth, because not too many kids at 15 get a job as a video editor for a TV show. My problem with my colleague’s history is that he’s probably not more than 35 years old. So that would mean he began doing UX professionally when he was 15, and 20 years ago, we weren’t calling it UX (at least not to my knowledge). I’m not saying he’s lying, but he is stretching the truth, I think, a LOT, to his advantage. At least until someone wiser than him points out his less than truthful history. Now, for me, I could say I’ve been a professional writer for 20 years, but I haven’t. Yes, I write, and have written scripts, Day in the Life stories, proposals, grants, and I had an article I wrote for VW Times (or some car mag VW related), that was published and I was paid $45 bucks. That doesn’t make me a professional writer as far as I’m concerned, and I think it’s been about 20 some odd years here and there. I could say I’m a professional graphic designer. I used to do that as a job, got paid, and was pretty okay at it. But I don’t say I’m a pro. Same goes for photography. I’m good at it and have a photographer’s eye (since I was 5 I’ve been told), but there are WAY better photographers out there, and I don’t do it professionally, though I did some paid gigs here and there. Music production, audio engineering, stage lighting and sound – all done and they were my jobs at different points in my career. But I try to be honest about who I am, without “enhancing” my story. When we lie, we need to keep track of what we said. And then we have to add on to that, and keep more track of it. That to me is way too much work when one could’ve been honest, no matter what, in the first place. Aside from what the Bible says about lying (which is really really bad), it’s just bad in general. It doesn’t build trust, it hurts, and you can lose friends and or family. In other words, don’t lie. It won’t get you anywhere, and most likely, will destroy everything you have worked for. So be honest about who you are. Because someone will aways catch you in a lie, and someday that’s going to come back and bite you. Welcome to my follow-up post about the connected home and car. Being it’s 2015 and we’re well into the year, I’m excited to see what companies are going to do about this. As an Experience Designer, I had written a Day in the Life scenario back at the beginning of the year, with what life could be like with the Autonomous Home (notice I’m not saying Home Automation) and semi-autonomous car. I hope you enjoy reading this as much as I did writing it, and hopefully someday, we can see this come closer to reality. This is in a script format. We open on an establishing shot of a nice, modern home that looks like it could be out of the future, but sits in a nice neighborhood of both newer and older mid-century modern homes. In the driveway we see the silhouette of s sleek looking car. Chris and his wife Jenna, a couple in their mid-30’s, are still asleep. A gentle beeping comes from the alarm clock next to the bed, which displays 5:30AM. Chris reaches over, turns it off, and turns over to give her a kiss on the cheek. Time to wake up baby. (smiles at him while waking up)But it was such a good dream I was having. Plus it’s too cold to get up. Yeah I know. Still gotta get up though. On the screen of this in-wall tablet is the Brain Corporation logo and the name HAILE: Home Automation Intelligent LEarning, different video windows including one of the bedroom, and a current activity window. As it sees Chris, the activity window switches to the home heater. As Chris sits on the side of the bed and puts his feet on the floor, the house heater comes on. Chris looks up, then back at Jenna, and gets out of bed. HAILE starts sending commands to other things in the house, first the coffee maker, turns on the lights in the bathroom and gets the shower going, and slowly raises the lights in the bedroom to gently wake Jenna. Chris starts to make his way to the bathroom as Jenna gets up and out of bed. As she does so, lights in the house from the bedroom that lead to the kitchen turn on. Jenna walks into the kitchen, and heads over to the coffee maker, grabs a cup nearby, and starts to pour a cup. In one of the video windows, we see Jenna in the kitchen, moving towards the coffee maker and pouring a cup. As she does so, the activity monitor sends a signal to the flat screen by her. As Jenna begins to pour her cup, the flat-screen display nearby turns on automatically to the morning news. As Chris grabs a towel and gets out of the shower, the mirror de-mists and a built-in display behind the glass turns on with the same news station as well as displays an overlay of his schedule for the day, his most recent emails, weather, and current morning commute time. Chris takes a brief look at it, then gestures his hand in front of the display to turn it off. He heads out of the bathroom, gestures toward the bathroom lights, and they turn off behind him. As Chris comes into the livingroom heading towards the kitchen, Jenna comes out of the kitchen. They exchange a morning hug, and then she moves towards a big window with window coverings (curtain or blinds). She gestures by putting her arms and hands out in front of her together, and then spreads them apart as if parting the red sea. As she does so, the curtains open wide to reveal the view of a city and mountains in the distance (or ocean?). Chris is watching the news as he’s drinking his coffee and eating a bagel. Hey honey, can you see what it’s like outside? Looks like there’s some frost on the roofs out there. Chris steps away from the flat screen and as he does so, the newscast pauses. He walks over to another screen in the wall and gestures. It comes on to show current weather as well as other information. Yikes – 45 right now Jen. Chris sets down his coffee mug back by the coffee maker. As Chris sets down his mug, HAILE sees this and sends a signal to a mobile smart system, MILeS (Mobile Intelligent LEarning System) in Chris’ car out in the driveway. 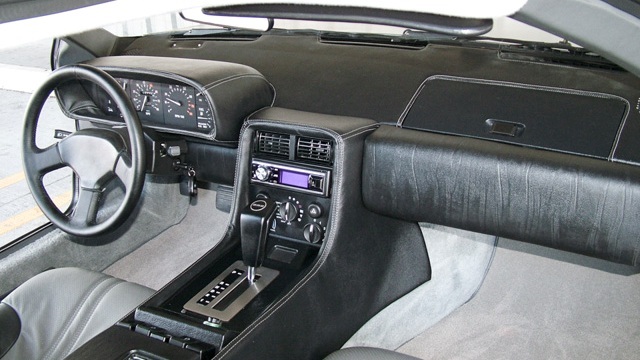 The inside of the car is both classic feeling as well as having an advanced touch screen in the center of the console. The console lights up, and we see “MILES” on the splash screen as it comes on. The interface is somewhat similar to HAILE, except designed more for mobile use. 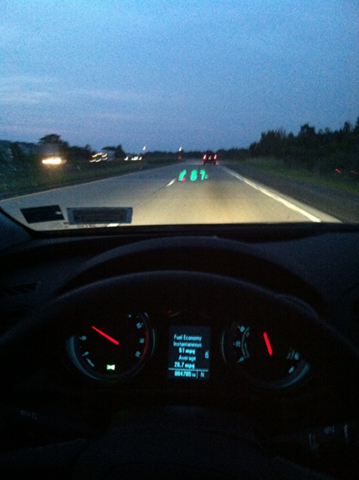 There are a few quadrants on the screen – activity, video on either side of the car, and front/back view. The activity screen shows the system starting the car as we hear the car fire up, turn on the driver’s heated seat, and adjust the temperature in the cabin. The front door of the house opens, and we see Chris holding some work related things, messenger bag with laptop, lunch bag and a few more items. We can clearly see his hands are full as he heads outside. Jenna, who wasn’t by the door moments ago, comes running out, he turns, gives her a kiss and heads off to the car. Call me when you head out? He smiles and goes past the camera, headed to his car. 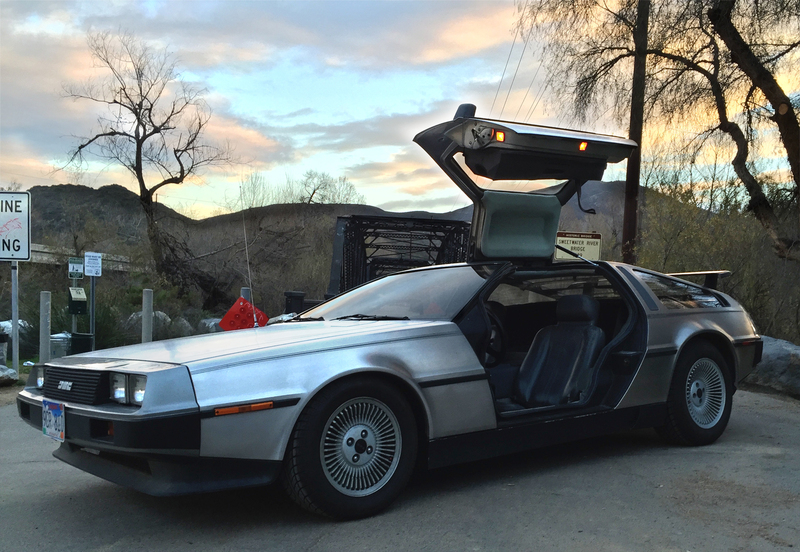 We see the car in the driveway, a DeLorean, sitting there, engine purring. Chris looks at it, smiles, then realizes how much stuff he has and how he’d have to struggle getting in the car. From inside the car we see Chris approaching from the outside. The camera pans to the right to show MILeS, and something new happening on the activity window along with the video monitor of Chris getting closer. As he does, the both door automatically opens. 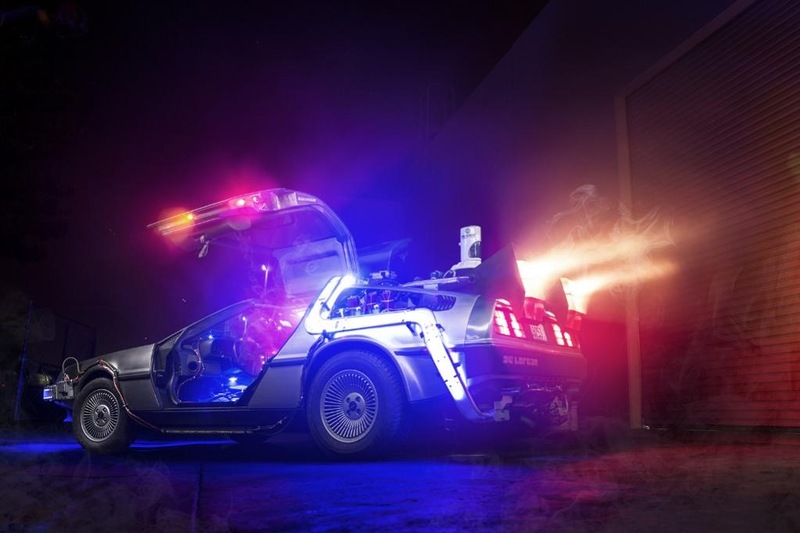 As Chris approaches the DeLorean, the door opens for him. As he gets closer, he walks around the to the other side, and the passenger door opens as well. He puts his things in, closes the door, and heads back to the driver side, gets in and drives off. Jenna walks into the kitchen and grabs a set of car keys from a glass dish. We see on HAILE’s screen Jenna grabbing her keys from the bowl. This triggers HAILE to open the garage door, and send a signal to Jenna’s car’s MILeS onboard, and prep it as the one in Chris’ car did. Jenna grabs her things for work, and has an armful as well. As she approaches the door to the garage, it unlocks and automatically opens using a small inconspicuous motorized door hinge. As she enters the garage the door closes behind her. We see a similar center console arrangement inside Jenna’s car as we did in Chris’. The interface for MILeS is the same – 4 camera views and an activity display all on the touchscreen interface. The front camera sees her, which triggers MILeS to open her driver door after she walks past it and the driver side camera. She heads to the back of the car, which triggers MILeS to open the back hatch. Jenna puts her things in the back, and walks back to the driver side. Her door opens, and as she gets in, the back hatch closes. She pulls out of the garage and as she clears it, the garage door automatically closes. We see Jenna coming home and pulling into the driveway. As she pulls into the driveway, we see MILeS activity window, telling HAILE that the car pulling in is Jenna’s. From the interface, we see that HAILE sees Jenna’s car coming in the driveway and getting the signal from MILeS. This triggers HAILE to open the garage door, as it knows Jenna always parks there. We see Jenna pulling into the garage from her vantage point with MILeS in frame. We see Jenna’s car finishing pulling into the garage and turning off. Lights in the house come on. Jenna opens the door and steps out, heads to the back to of the car to get her things and again, the back hatch automatically opens and then closes once she’s clear of the car. HAILE sees she has her arms full and sends a trigger to open the door from the garage to the house. We see the main garage door closing as Jenna is going into the house. The curtains are closed. Jenna walks up, spreads her arms apart, and they open to reveal the city lights and view below in the distance. She then heads to the kitchen to get dinner ready. We see Chris pull up in his car, get out and head to the front door, carrying his messenger bag and some extra things. As Chris approaches from the driveway the front door unlocks and then automatically opens for him. He enters and the door shuts, again by itself. Chris and Jenna finish eating, and she gets up to put things away in the kitchen. Nope. I’m good. Thanks angel. How about a movie before bed? I really need to catch up on some reading tonight. Chris walks in, sits down on a big couch in front of the TV. As he does so it comes on by itself. He sets down a beer on the table in front of him, and the TV automatically switches to a sports channel. In the study sits a desk, nice comfy lounging chair and reading lamp next to it that’s OFF. Jenna comes in with a book, sits down in the big chair, and opens the book. As she opens the book, the light turns on as if by magic. We see Jenna looking out at the view from the big windows. Chris comes up behind her and puts his arms around her waist, the two enjoying the view. He gives her a kiss on the cheek, and she looks up to him. He heads down the hall to the bedroom for the night. Jenna takes one last look, spreads her arms apart in front of her, puts them together as if closing the curtains, and they begin to close. She heads down the hallway, and as she does, the lights in the house begin to dim one by one in sequence behind her as she heads to bed. The Connected Home and Car: Where Are They? So now we’re one-quarter of the way into 2015, THE FUTURE that was promised to us back in the 60’s and 70’s, and even somewhat in the 80’s, thanks to shows like The Jetson’s and movies like Back to The Future. And yet, we still don’t have robots in the home — I’m not going to count the Roomba, as that’s more of an annoying noise-maker that attempts to clean your floors, as do most all the other “robot” vacuums. I know, I worked for a robot company. If that’s the promise of home robotics, then the future ain’t so bright. The good thing is there’s now a bunch of robotics companies popping up, and even a robotics accelerator to help launch robot products and more robot companies — though Bill Gates and Stephen Hawking aren’t too thrilled about it (something about robot overlords and smart machines taking over the world). Personally, I’d love a robot in my home that picks up stuff, reads me my email, is a security system, I can have conversations with, and can help me fix my car. Not one that looks human (I think that’s a very bad idea), but in fact looks like a machine – like R2D2 or Wall-E, or something else that’s friendly and easy to accept. Something like we used to see in movies and TV. We’ve been conditioned over time to accept that form of autonomous machine. There’s still no flying cars. Okay, there’s the Terrafugia, and a host of other cars that turn into planes, which is to me at least, a non-starter. 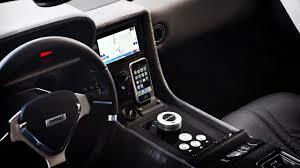 But let’s talk about the connected home and car. There’s been more talk recently about autonomous cars, and Google as well as some car makers, such as Mercedes-Benz and Audi, are making some good strides. Even Apple supposedly is getting in on the game, though I doubt it. Cars that drive you to work and home, so there’s less accidents, less traffic jams, less human interaction and mistakes. The Google car is completely hands-free, while the MB and Audi allows the passenger to drive or go hands-free. To be honest, we should have had this technology in our hands, and garages, years ago. Moore’s Law is definitely not applying to this area. “It’s about vehicles talking to vehicles and vehicles talking to infrastructure. It’s about moving closer to self-driving vehicles,” said Lurie. “It’s about this working with your home, it’s about inanimate objects taking care of you versus you taking care of them. Interestingly, while I was working for the robot company, they had this cool thing they called Home Animator. Basically, it’s a box with their “brain” that connects to smart devices in your home, so everything becomes gesture-based, and over time, the system learns your patterns and behaviors. So, essentially, it’s an attempt to make our lives better, to save us time, to make technology and things a little less stressful. Sit down with a book in your favorite chair, and a reading lamp automatically turns on when you open the book — things that happen when we do something. They called it “Enchanted Objects”. My thought was months before seeing this article was why can’t they put that into a car, any car, either as an OEM thing when you buy a car, or even an aftermarket device? I was the champion for the connected home and car – but it was more than what Mr. Lurie had posited. It was a Day in the Life study I wrote (being a UX’er and filmmaker this is something l love to do) about how the home and the cars of the homeowner worked together to make the user’s morning routine less stressful, as well as when they get home from their day at work. The home would get things ready as the people would get ready to go, and then let the car know the owner was on his way out. The car in turn would start up, warm up the interior (in the case of a cold morning), adjust anything that needed adjusting, and even open the doors for the owner when they approached so they didn’t have to struggle with their stuff, keys, phone, etc. It was about how technology could truly make our lives a bit easier. I don’t know if that robot company will ever pursue that – as they are focused on the home robot that picks stuff up problem, and I applaud them for getting that going. Meanwhile, the big players are moving towards what I had envisioned months ago. And I do think there will be a need for that home robot to be an integral extension or add-on to the autonomous home solution. But the bigger market, the one that’s going to be adopted more readily, quickly, and by a larger audience is the connected home and car. Meanwhile I’m still trying to figure out how to make my DeLorean a flying car before October. If you’re a great or even decent UX’er, you’re out. If you know HTML5 and CSS3, it’s not good enough. The majority of UX folks I know, at least here in sunny San Diego, CA (it was very nice today but I digress), refuse to do ANYTHING but UX design. Most won’t even push pixels or do visual mockups. YET, all of that is becoming more in demand. On top of that, where a UX role in the past (mid-2014 and earlier), UX paid pretty decent wages. Now, not so much. Actually, for all of the required talents in my first paragraph, the going rate is somewhere around $80-90k. Let’s do some math. A developer, who codes, who takes (hopefully) a well thought-out set of designs from a UX designer — wireframes, interaction designs, etc., and turns that into a living, breathing THING, makes anywhere from $90-120k a year. A UX’er used to make that, just doing UX. Now the trend is you need to do all of that and more, for a whole lot less (probably due to the market being flooded). Something else: I see a lot of developers try and take over the UX role, when there’s a fully qualified, seasoned UX designer on board. Note: I love developers, used to be one, and have worked with some truly amazing devs. But I never try and take over there job and start coding. But maybe it’s come to the point where we as UX people need to become that. 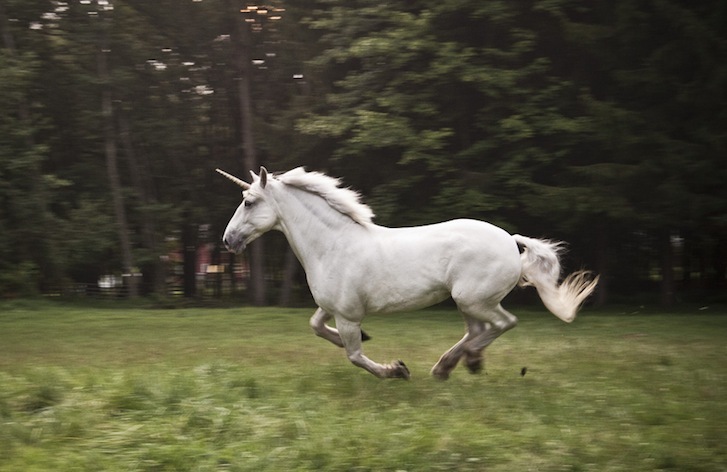 Seeing what’s out there, what’s being posted, what’s becoming the norm, if we want to stay in UX, we need to become the magical unicorn. I don’t think there’s really any choice. 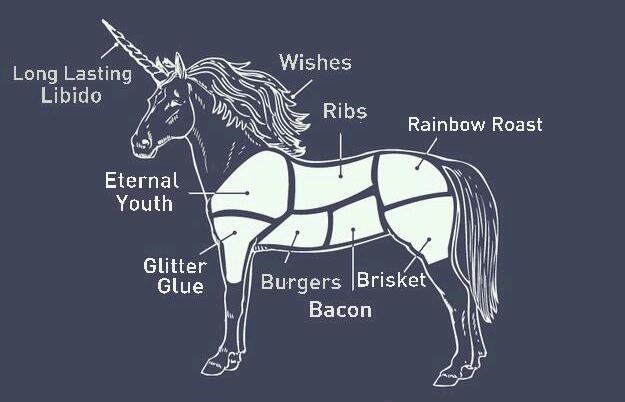 Something not related to UX, but unicorns- I believe bacon comes from unicorns, as it makes almost everything it’s put in taste magical. And maybe that’s why companies are looking now specifically for the UX unicorns – they’re the bacon to a business’ success. 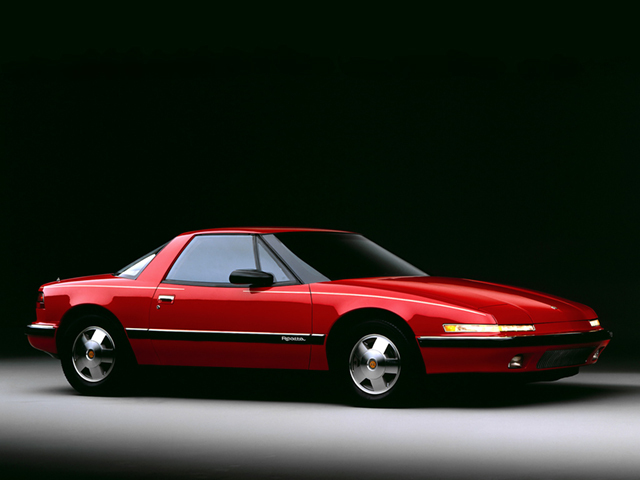 Random Thought- 80’s Cars I actually liked. Yes, that’s an odd way to open a new post, but it’s been a LONG while since my last blog post. A very. long. while. Mostly because I’ve been busy, and really haven’t thought of much to post about. 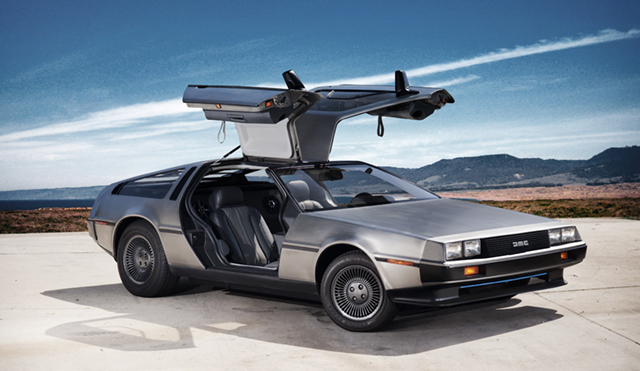 But one thing that’s been floating around in the back my my head is cars — mostly because I’ve been hot for a 1981 DeLorean. Have been for the last 30 some odd years, and now I’m SO close to getting one. Finally. So this made me think about all the cars that came out in the 80’s, or more specifically, the one’s I actually thought were pretty cool, and still kinda sorta hold up more 30 years later give or take. One is considered a classic, is hard to find in good shape (or at all) and when completely restored demands roughly equal in today’s dollars what it sold for back in 1981. 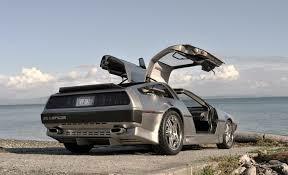 Of course I’m speaking of that stainless steel wonder, The DeLorean. 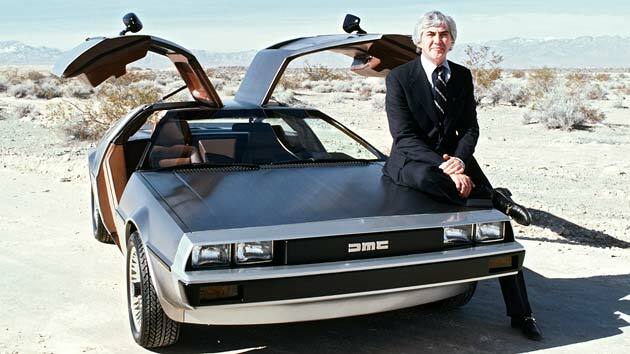 The DeLorean was the brain (and love) child of automotive design executive, John Z. DeLorean. 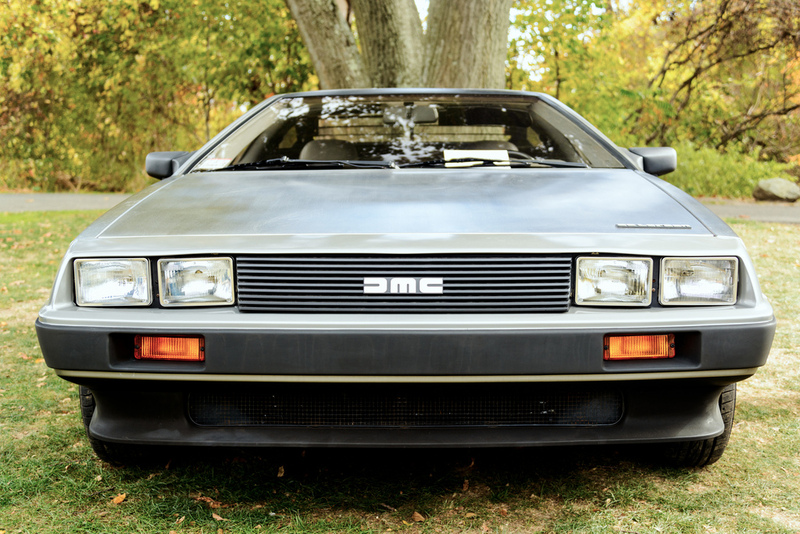 I could go on about DeLorean, the person, but there’s plenty online that covers his history. And no, he was not a cocaine dealer or shipped cocaine over in his cars. Gullwing Doors. Stainless steel skin over a fiberglass tub. i-Frame chassis. 6 cylinder PRV engine, and room for a driver up to 6′ 7″ (I know as I’m that tall and fit comfortably, more so than in most modern cars or even earlier cars), though it was basically designed for someone 6′ 4″ tall, like John DeLorean. The tension bars for the doors were designed and made at Northrop Grumman and CRYOGENICALLY hardened…i.e. let’s freeze someone and thaw them out 100 years later “cryogenically”. Yep, turns out cryogenics is not just for making people pops. 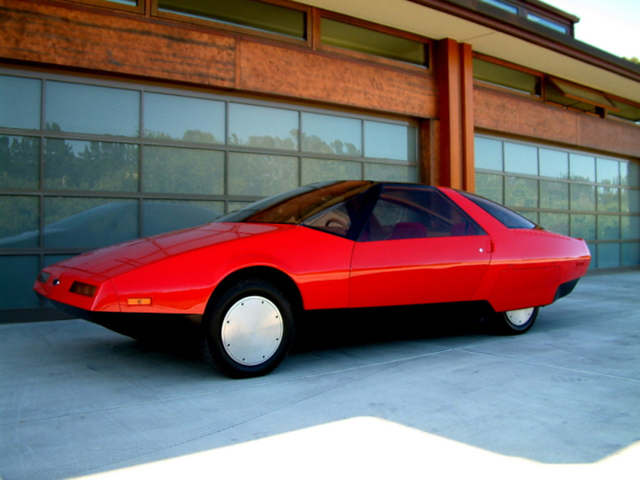 And it was designed by Giorgetto Giugiaro of Lotus. 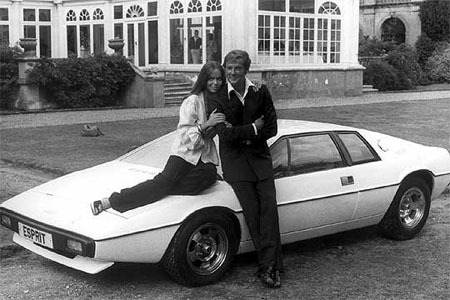 Thus the confusion at times with the Lotus Esprit from the Bond film. It’s not the same car. Nor is it a Bricklin. 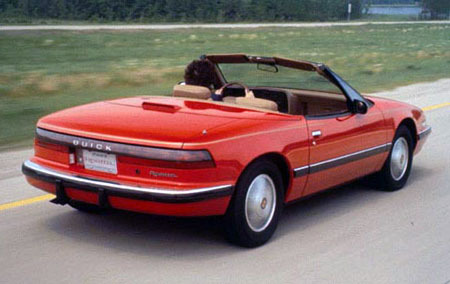 Or even a Cadillac Eldorado. 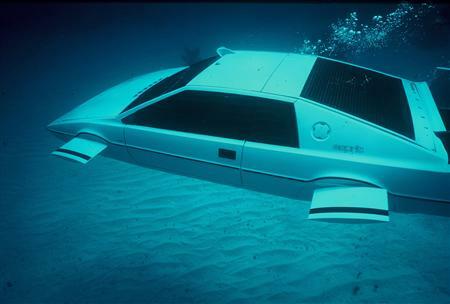 There was actually a guy who argued with a DeLorean owner that his car in fact was this one from the movie “The Spy Who Loved Me”, you know, the one that turns into a submarine..
A new DeLorean had an MSRP of $23,000 (it was supposed to be $12k). Today, a nice running one in decent shape goes for about the same, and a restored one that looks showroom new goes for about $45,000 and up. Next up, a car I had that I thought was pretty cool, but turns out it wasn’t, though some people have done some cool stuff with it (like dragster funny car cool stuff). The Ford EXP. My best guess is the EXP meant Experimental. Or not. I actually liked it and it still looks kind of neat. Will it ever make it to classic status in another 10 or 20 years? 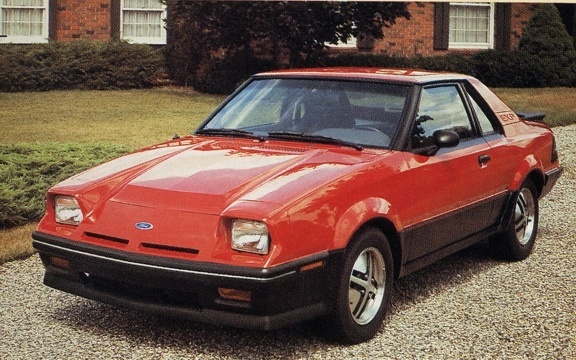 The AMX Gremlin and AMC Pacer kind of have a cult following, so maybe. This had a little 4 cylinder in it, 2 seat hatchback. Sort of Mustang of the 80’s look. 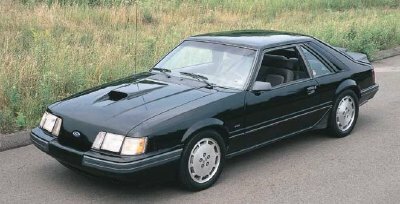 Which leads me to the Mustang Cobra SVO, with a 2.3 liter inline 4 cylinder turbo-charged engine. 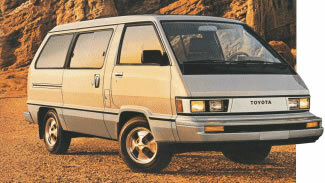 I test drove one, and it was a blast, back when turbo-charged cars weren’t all that common. 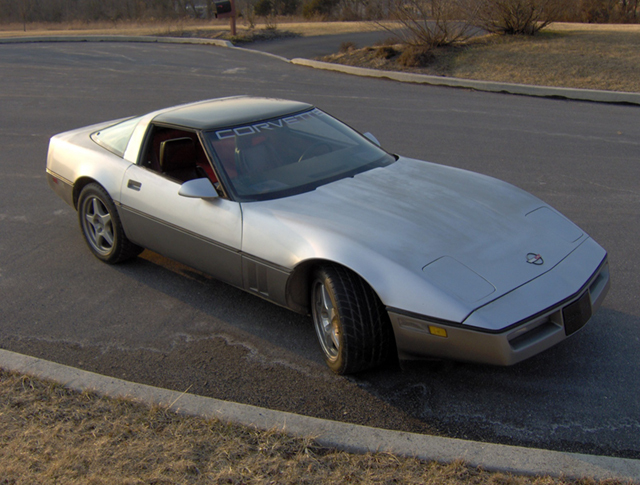 Speaking of cars I owned and actually hold up 30 some odd years later, I give you the mid-80’s Corvette C4. 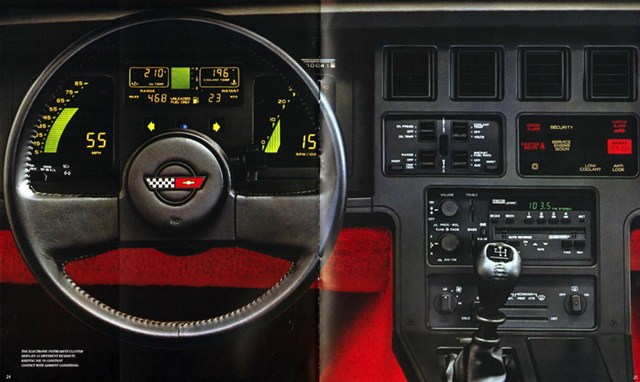 This was introduced in 1984 with a new body style, digital dash, removable glass top that stored away in the back area (there were slots for it), and a hood that opened up all the way similar to a Jaguar XKE. It came with a Doug Nash “4+3” transmission – a 4-speed manual coupled to an automatic overdrive on the top three gears. 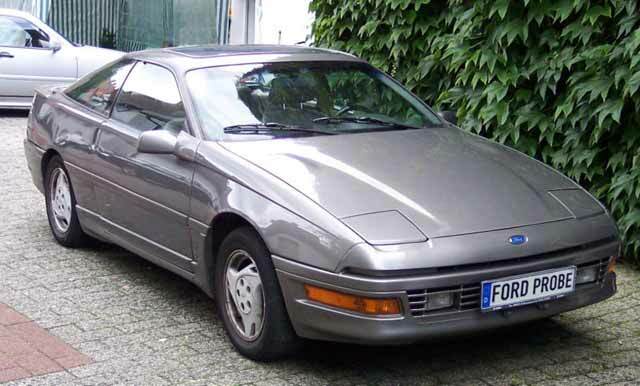 Back to Ford’s, I thought the Probe concept was kinda cool. And the production car, at the time, was something I liked as well. Turns out a lot of people still like it as it’s found every so often nicely modded..
Scoop nose, thin tail lights (well, thin for the time), and possibly the first production car with a Heads Up Display..
And then one more car we had and I totally dug when it came out, though this isn’t really a car. It’s a minivan. 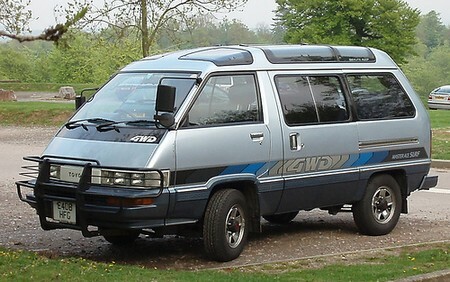 Now, we all know that minivans are the harbingers of the apocalypse, but you have to admit for something out of the 80’s, it still holds up pretty well, so much that they command a high price even nowadays. 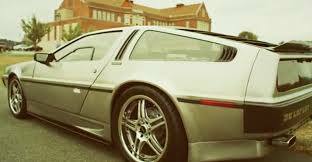 And that my friends are some of the cars from the 80’s that I liked, and still do. I was thinking last night about a question I get a lot from hiring managers who are interviewing me for some random UX position (or interaction design or something other) for their company. Good question, as it seems there’s a lot of answers, or no real ONE true answer. Really. I think that comes from there being all sorts of different things that fall under the UX design umbrella. Because when you think about it, all the different “things” (or disciplines) that fall under the magical UX design umbrella are design related. Think about it. Information Architecture is designing a better more user-friendly way of getting around a site or app; user research is gathering information and then “designing” a plan to make a better experience, and of course there’s all the other design things such as interaction design, UI design, visual design. My thought (and I’m guessing I’m not the only one here), and usual answer to the question is that User Experience Design is all those, and I truly feel and believe that a good if not great UX designer is capable of being involved with all the different aspects of UX design. What I think of is that a UX designer (and maybe this is what their role should be vs. falling into being just one of the other disciplines) is similar to an architect. And by that I mean what the architects from the post-war were. Those amazing people — Mies Van Der Rohe (who started the Bauhaus movement), Le Corbusier, Charles and Ray Eames, Frank Lloyd Wright, Philip Johnson, Cliff May, and the list goes on (you can view that here) did something that a lot of architects don’t do today. That is, create an experience. Most of today’s architects design the structure, and let the landscape architect do their part, and leave the colors to the client as well as furniture and so on. This is similar, in my mind at least, to those who practice UX design, or unfortunately work for a company where they are only required or assigned to do one aspect of UX design. Those designers from 1933 up to what we know as mid-century, created experiences. They chose the right colors, they designed the furniture, they looked at the environment and how to make it meld with the inside of the home (not just a house), they were there from day one to the day the keys were handed over to their client. They made sure the vision they created became reality. The listened to their client and gave them the best user-centered design and a great user experience. Most places I’ve worked I’ve been told to only focus on wireframes, or interaction design, or visual design, or user research. And I get that certain companies have that broken out on purpose, or that’s just the way things are. And for most people that works well, because someone may be a great information architect, or UI designer, or researcher, and that’s their passion. For me though, it’s about creating the best user experience as those designer/architects did – from day one to launch. It’s about using the right colors, designing the furniture, picking out the right lighting, creating something truly wonderful and unique, giving the user the best experience possible. Being involved in every aspect of the process. What does UX design mean to you? How do you feel about the title “UX Designer” being more than just one part of the whole picture? I know some companies call it a “UX Lead” and they have involvement from start to finish. What are your thoughts? I don’t know about you, but I love architecture. And I love our current house. 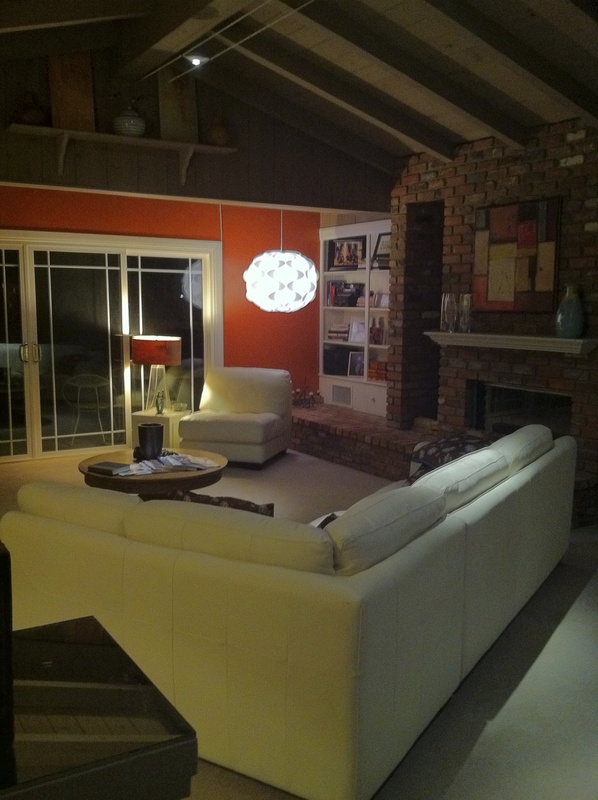 It’s a 1958 California Ranch with a huge living room with open-beam ceilings. We like homes that are unique, not cookie-cutter, bland, boring, or uninspired. The architecture that was prevalent post-war (WWII that is), from the Bauhaus movement to the late 60’s embodied something different. 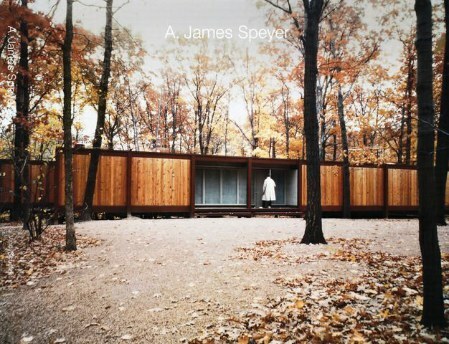 Homes were designed to bring the outdoors in, be built with the minimum of materials (thus the birth of post and beam architecture), affordable, sustainable (yes, architects like the Eames, Philip Johnson, Frank Lloyd Wright, Lloyd Ruocco, et al) were thinking of all that. The whole Case Study project was designed to see who could come up with an affordable house that provided lots of light, brought nature indoors (or felt like it), used affordable materials, and could last a long time. Most people when looking for a house or home (I’m assuming and could be wrong) look for things like the neighborhood, schools, size of the house, are there enough bedrooms and bathrooms, and other comforts – “There’s a pool? That would be nice to have during the Summer..” (or the opposite reaction). I don’t think most people really care about having something unique, inspired, magical almost. The saying is “Home is where the heart is.” Okay, I get that. But what if your heart wants more than a house that looks like every other house on the block? As a disclaimer, there are actually neighborhoods that were built in the late 50’s to mid-60’s that are very cool homes, in LA, the Bay Area, San Diego and other spots. 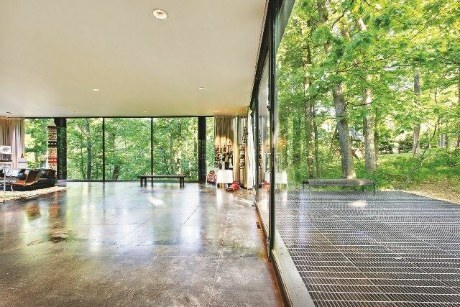 They are truly cool homes, and I could live in one of those quite happily. But I present to you the coolest home (in my book at least) ever. 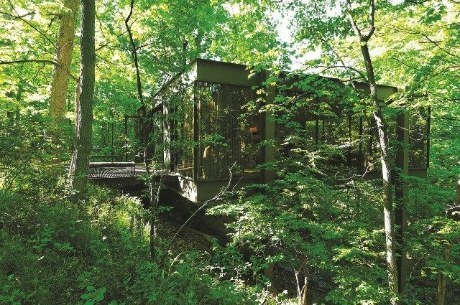 Cameron’s house from “Ferris Bueller’s Day Off”. The last photo is of the famous garage where the Ferrari goes crashing out the back window into the ravine below. It’s in Illinois just north of Chicago, in the same neighborhood Michael Jordan lives in. It’s glass, steel and wood. And it’s for sale. Problem is it’s expensive ($1.3 million), though it’s cheaper than before, and it’s in Chicago-ish, though I do love Chicago (which is weird since I’m a native San Diegan). It’s been on the market a few times, but never any interest. Not because it’s Cameron’s house, but because people for the most part don’t get it. We do (that’d be my wife, kids and I). To us it’s pretty much the perfect home. We see it and it speaks to our hearts. 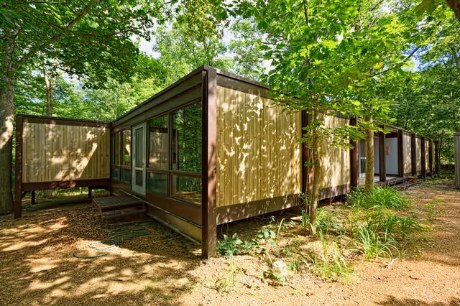 So if IBM, Motorola or McDonalds (they have an innovation lab south of Chicago) offered me a job, I’d have to get this house — hopefully the owners (they’re the second owners btw) would be open to an offer from a family who gets their house.